Stop thinking. Start Selling your products online. 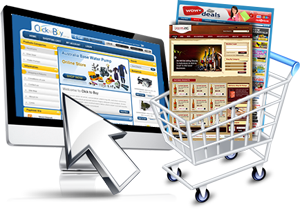 Employing the best of technologies and platforms to deliver customized e- commerce portals. We are forever. Identifying new technologies to deliver effective solution. Design a sensible e- comers strategy that fits your requirements. Create interfaces that are appealing translating into a sale. Optimize your portal for a better search engine visibility. Nagarbhavi Road, Bangalore - 560072.